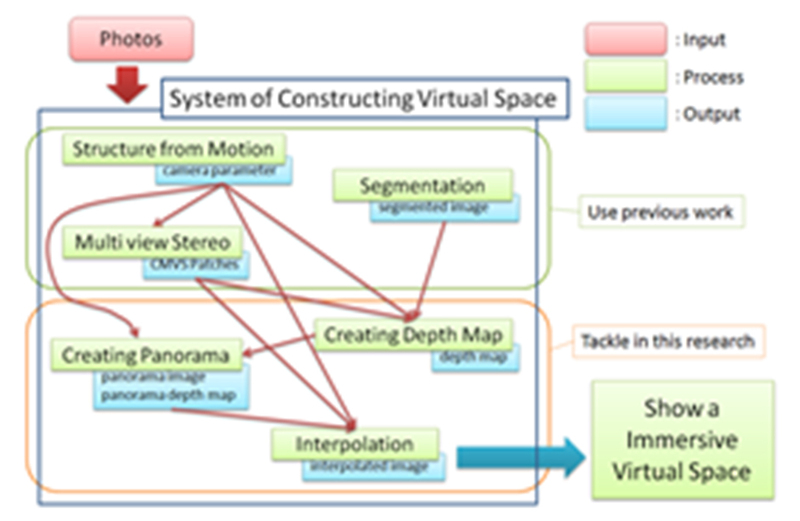 We have developed a method for reconstructing a virtual space consisting of panoramic images for a given area of the real world. We combinine multiple computer-vision techniques such as structure from motion, multi view stereo, and depth map (Fig. 1). As the user virtually walks around the given space, a panoramic image for the location is computed almost in real time. The current version can automatically re-construct from approximately 1200 digital photos a 3D scene for a 20m x 20m space in 4 days.